Total HTML Converter is a powerful and user friendly tool that converts HTM to spreadsheet in a twinkle of an eye. This is the most versatile file conversion utility, as it supports many popular formats. By aid of this program, you can convert HTM to XLS, JPEG, PDF, TIFF, DOC, TXT. This HTM Converter features an easy-to-follow user interface. Novice users do not usually have any difficulties figuring it out. It takes just one session to fully understand how it works. The scheme is applicable to all formats supported by the converter. 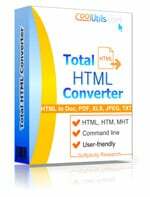 Total HTML Converter is the most convenient file conversion utility today's software industry can offer. It incorporates a number of innovative solutions that ease the process. These features include batch mode, command line support and the handy wizard. There are three ways to do it: via interface, from the desktop and via command line, which are pretty much the same except the way you launch the program. Run the utility and select the folder with HTM files. Check the files you with to convert. To convert HTM to XLS in batch, use Check all button. This function enables you to make HTM into XLS in large numbers. 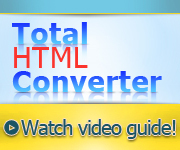 The best thing about Total HTML Converter is that it converts scores of files almost as instantly as one file. Files specified, select XLS in the format bar on top or in the Convert to menu. The wizard will guide you through the process. You may either make your own settings (requires a bit of experience) or use the default settings. Select the destination folder as suits you. Click Start to complete conversion. 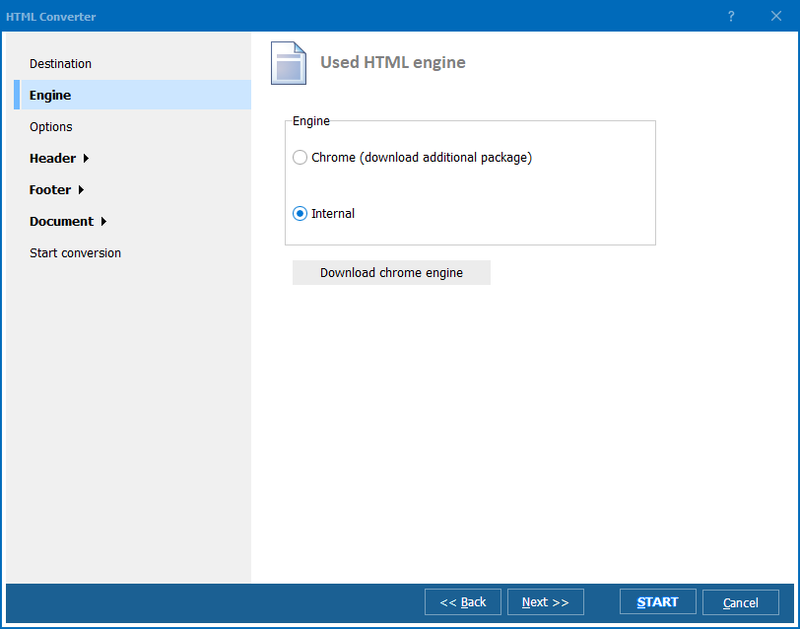 Total HTML Converter integrates into Windows. You can render your HTM files in XLS from the desktop. Right-click on a file and select Convert to to launch the interface. Then follow the standard procedure. Command line support enables you to launch the program and deal with your files from within other utilities. You can either buy the tool right now or try the demo version, which is valid for 30 days. Registered users are entitled to free tech support and upgrades. Our pricing is clear and concise. We do not require any hidden costs. Our specialists are always ready to listen to your remarks and suggestions.